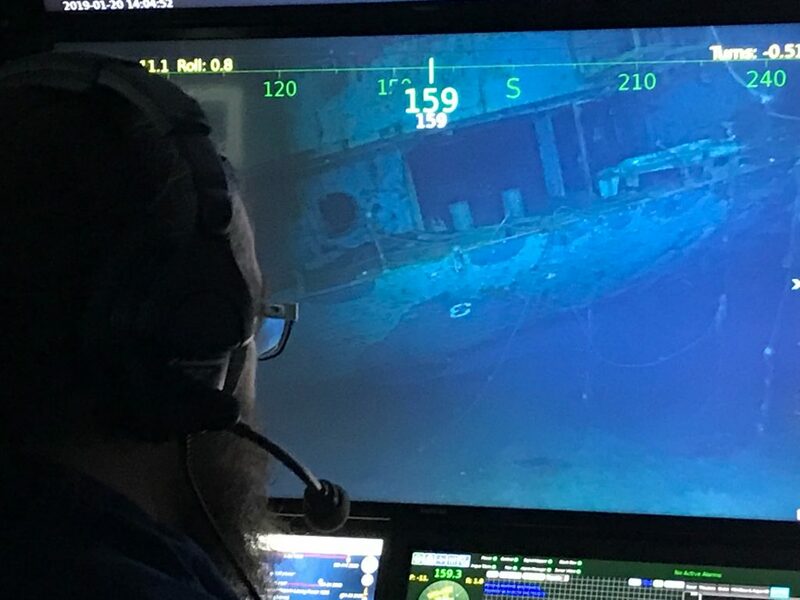 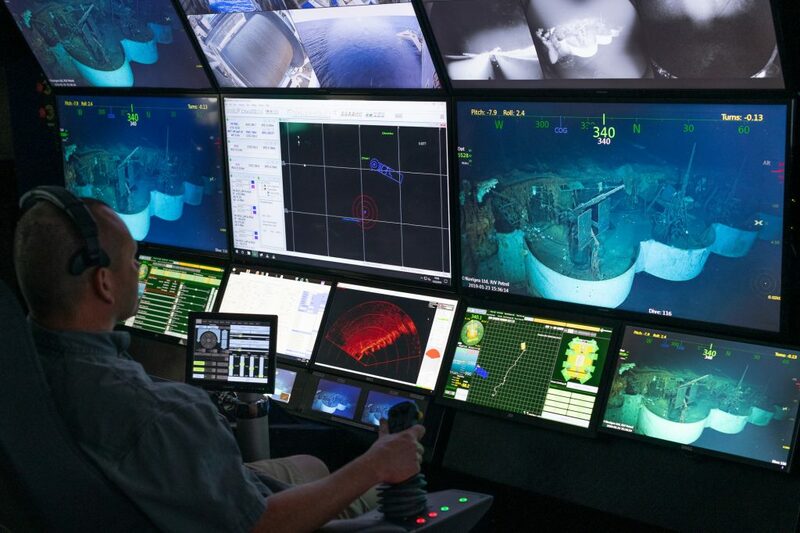 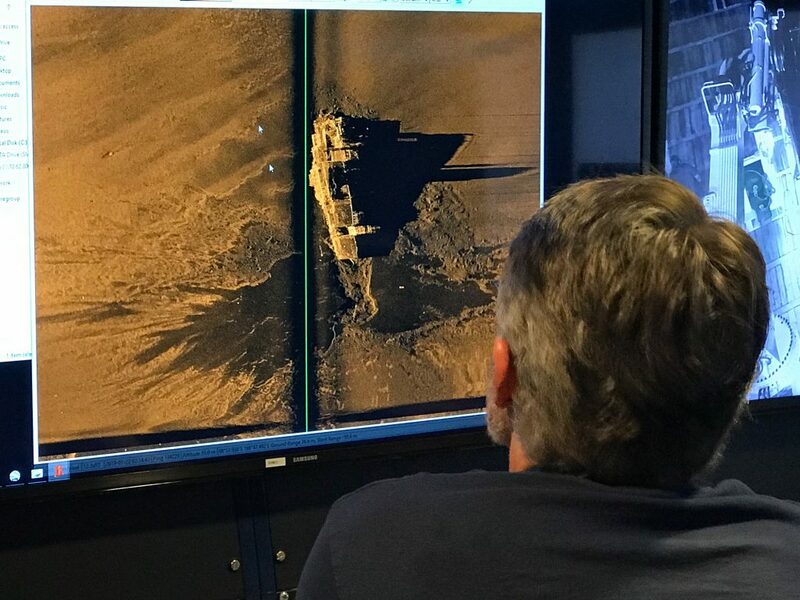 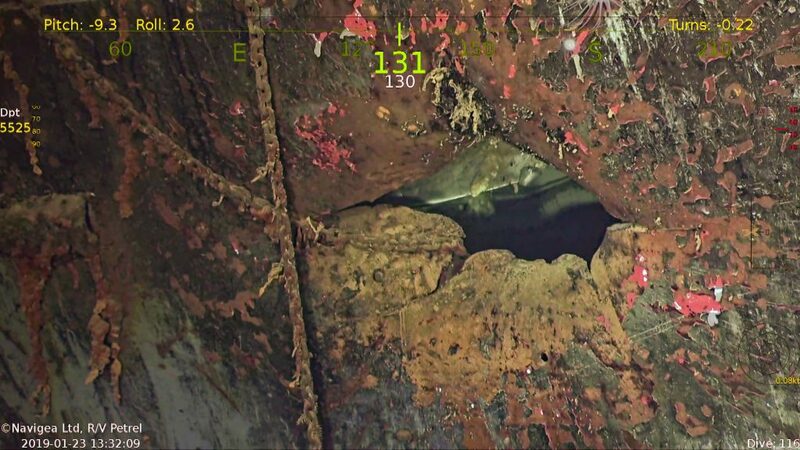 Today we received incredible news from the late Paul G. Allen’s deep ocean research vessel R/V Petrel that the research team aboard has located and documented the long-lost wreck of the WWII aircraft carrier U.S.S. 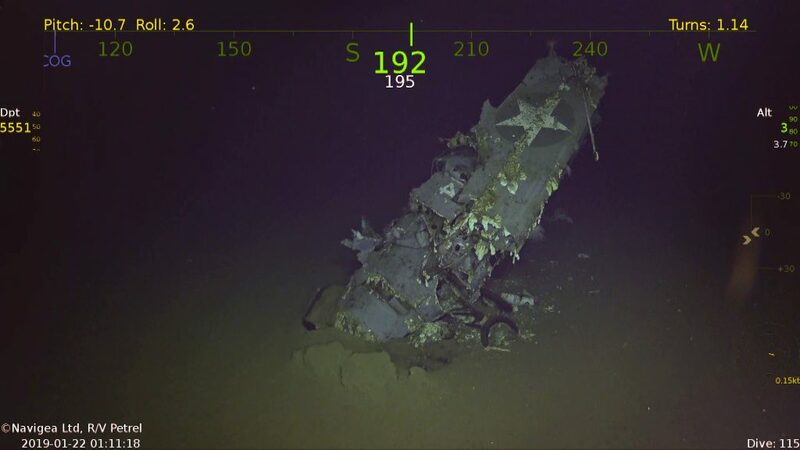 Hornet (CV 8). 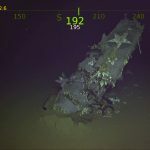 This breathtaking news comes just under a year after the same organization located another historic Battle of Midway aircraft carrier, CV 2 U.S.S. 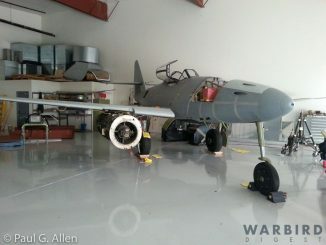 Lexington (which we covered in great detail both here online and in print with Warbird Digest Issue #78). 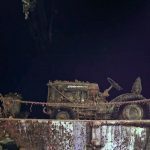 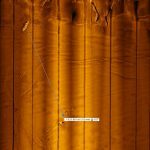 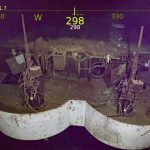 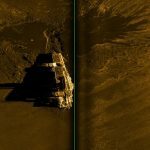 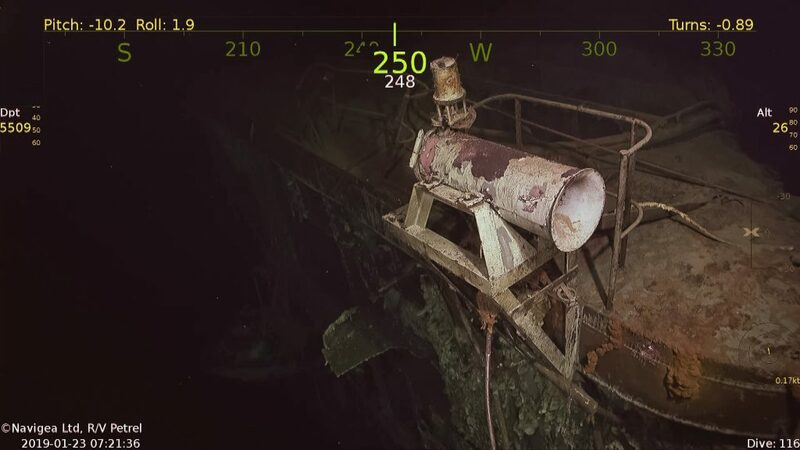 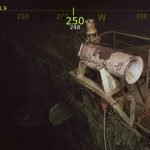 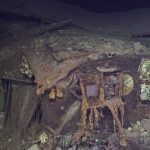 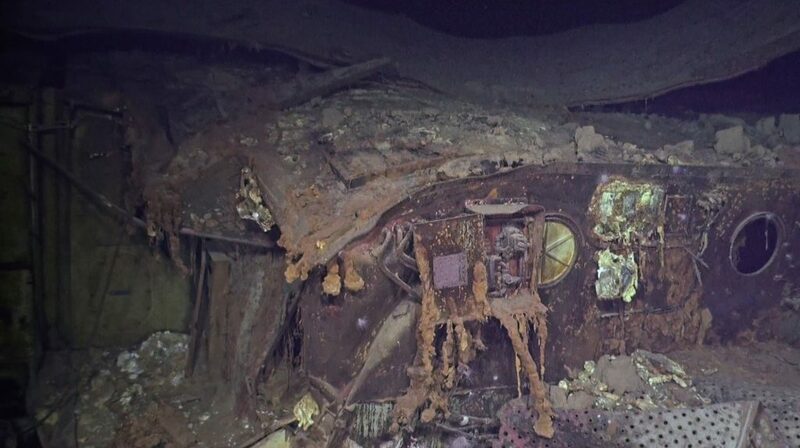 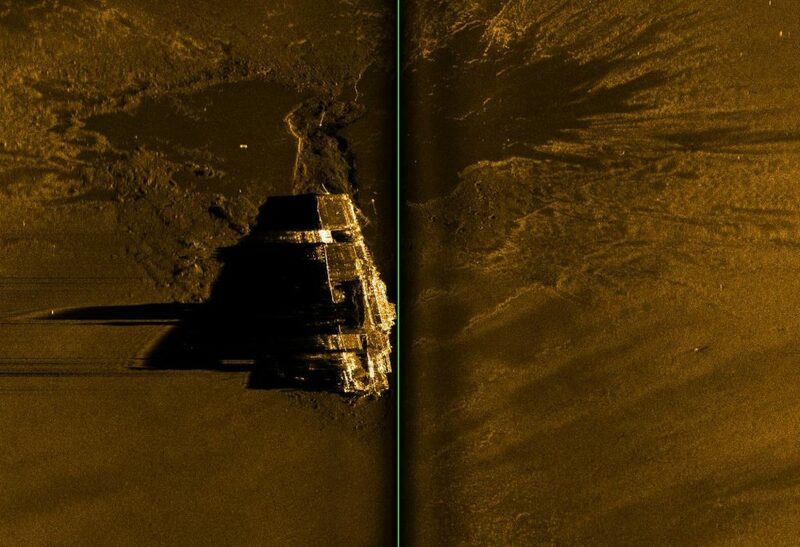 Haunting images have been emerging from almost 18,000 feet down in the South Pacific which show peaceful scenes on the ocean floor defying the carnage inflicted on the day of her sinking seventy seven years ago during the Battle of Santa Cruz Islands. 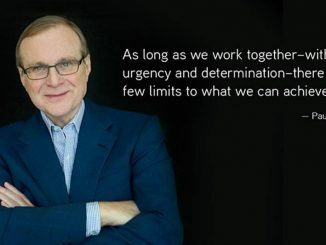 While the news is still filtering in, we thought we would share the official report coming from the late Paul G. Allen’s official website. 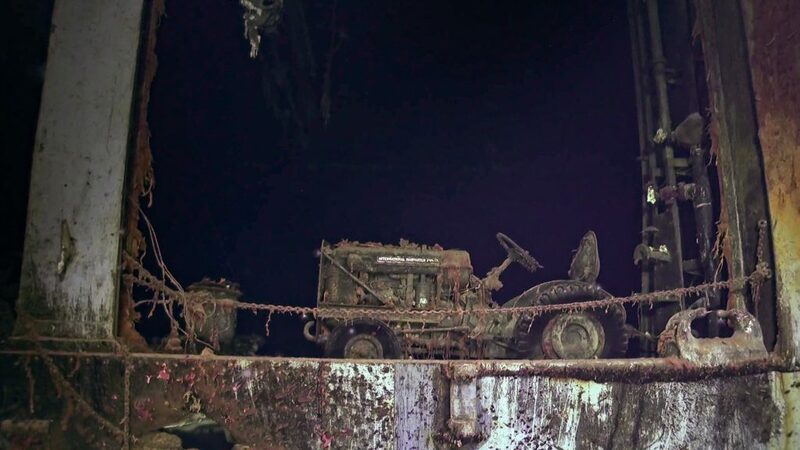 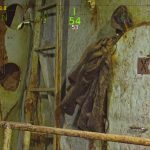 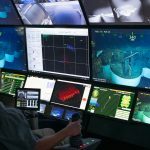 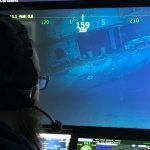 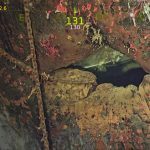 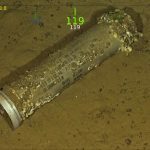 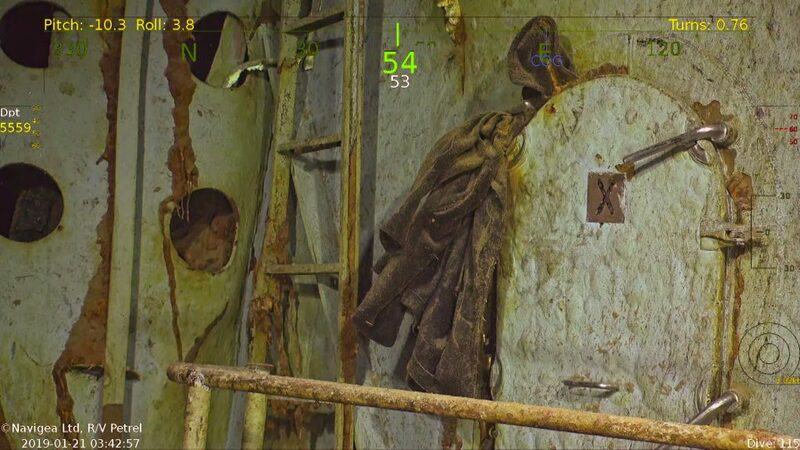 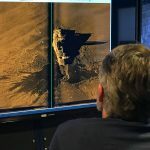 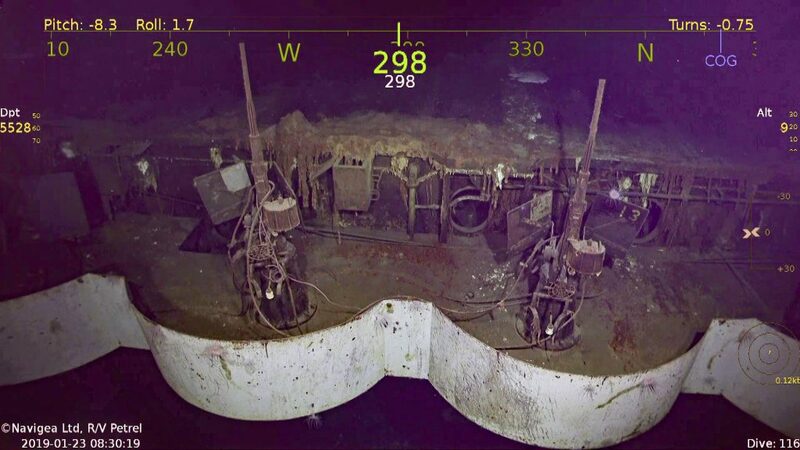 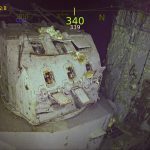 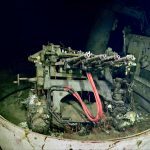 Seattle, WA, February 12, 2019 – Wreckage of the World War II aircraft carrier USS Hornet was discovered in late January 2019 by the expedition crew of Paul G. Allen’s Research Vessel (R/V) Petrel. 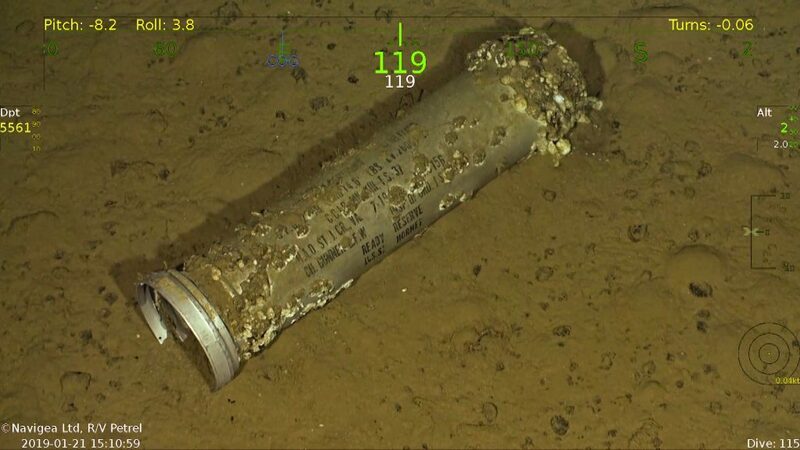 Hornet was found 5,400 meters (nearly 17,500 feet) below the surface, resting on the floor of the South Pacific Ocean around the Solomon Islands. 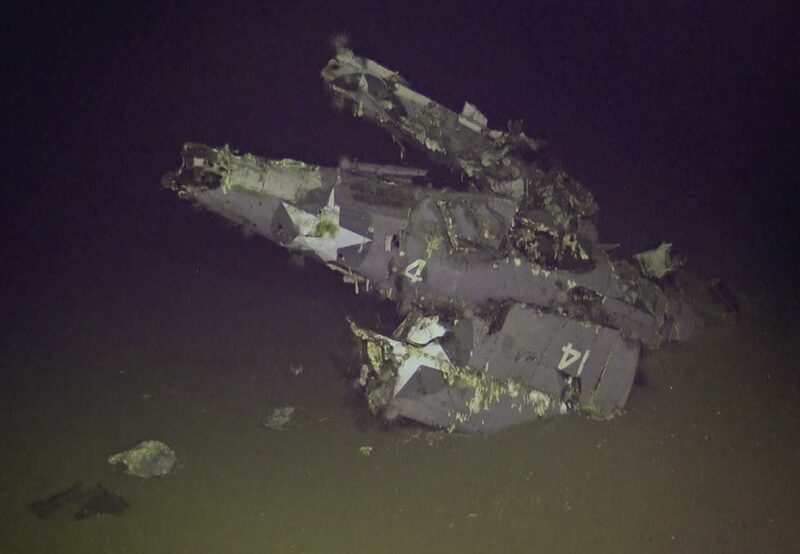 Hornet was best known for its part in the fateful Doolittle Raid that was launched in April of 1942, which was the first air-borne attack of Japanese homeland targets including Tokyo. 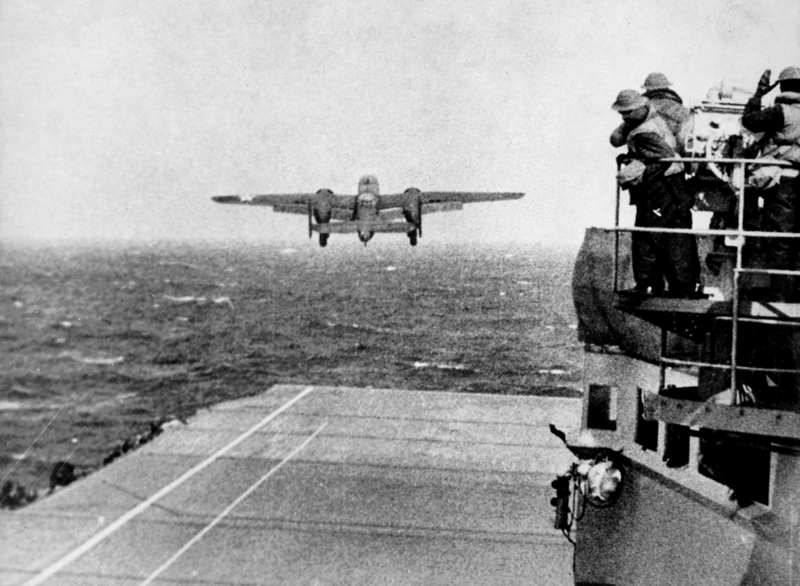 Led by U.S. Army Lt. Col. James Doolittle, all the 16 B-25 planes that were launched from Hornet were unable to land at their designated airstrip in China, but the raid provided a boost to American morale and put Japan on alert about our covert air capabilities. 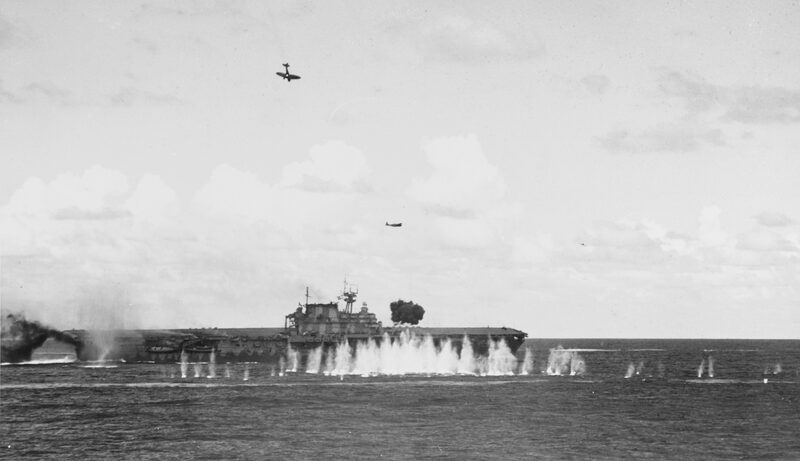 In June, Hornet was one of three American carriers that surprised and sunk four Japanese carriers at Midway, turning the tide of war in the Pacific. 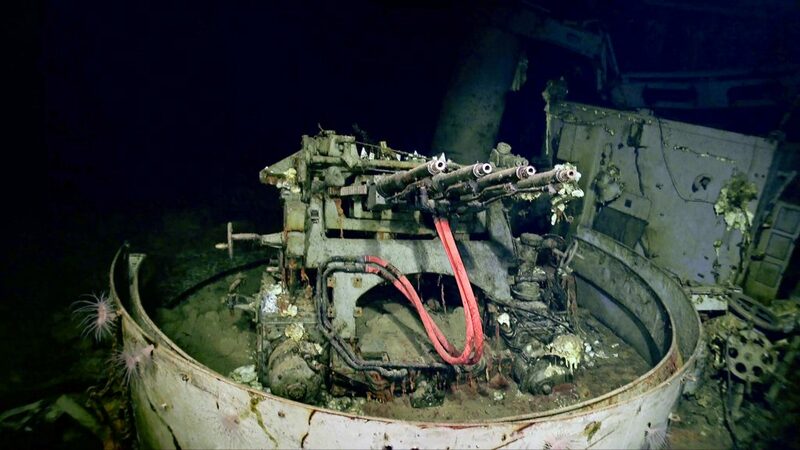 The ship was sunk during the exceptionally vicious Battle of Santa Cruz Island that started on October 25, 1942. 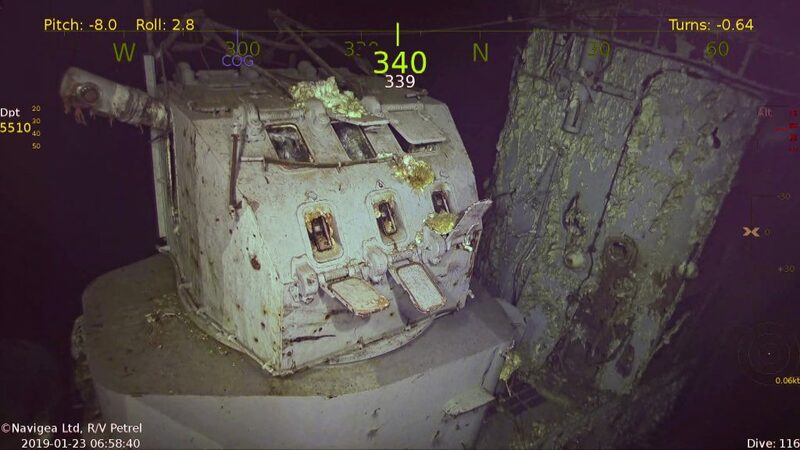 Hornet proved an especially determined ship over the next 24 hours. 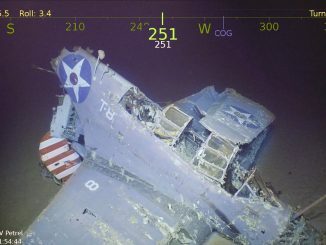 Enduring a relentless, coordinated attack by Japanese dive-bombers and torpedo planes, her crew was ultimately forced to abandon ship due to damage and resulting fires. 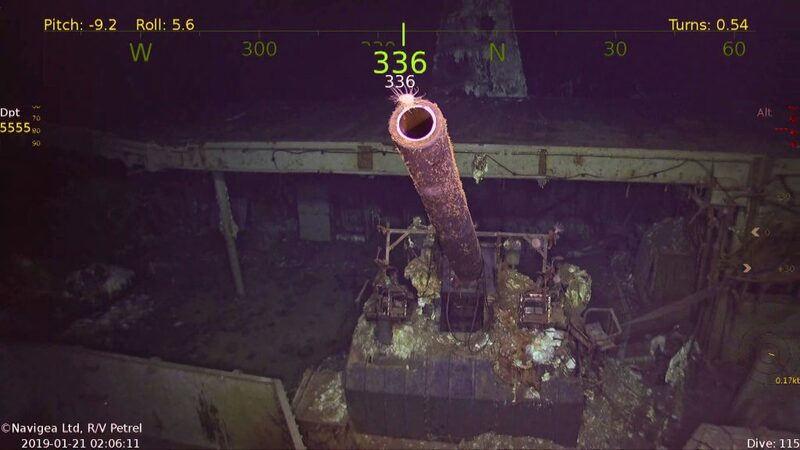 She then defied American efforts to scuttle her with 16 torpedoes and 369 rounds of 5” shells. 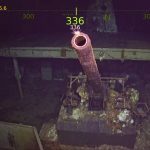 When Japanese forces approached shortly thereafter and fired four torpedoes from two Japanese destroyers late in the evening on October 26, Hornet finally succumbed and slipped beneath the surface. 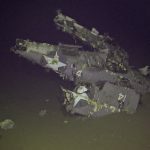 She lost 111 sailors from her crew of nearly 2,200. 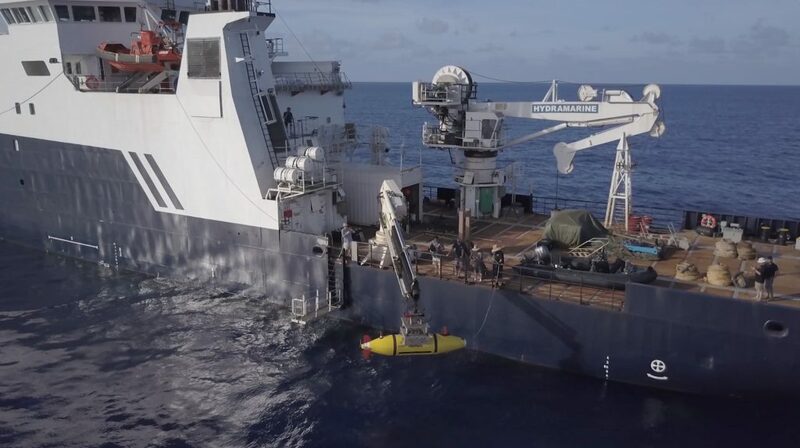 The discovery of Hornet was made during R/V Petrel’s first mission of 2019 after relocating from the Philippine Sea to the Solomon Islands to spend winter months in this arena. 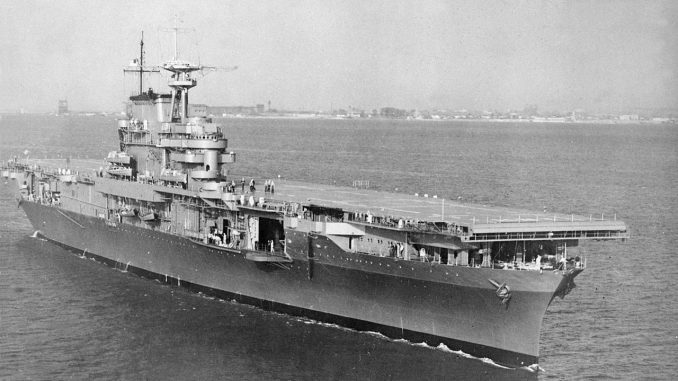 Operating out of Guadalcanal, the area is rich in history and prominence in terms of naval engagements. 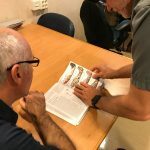 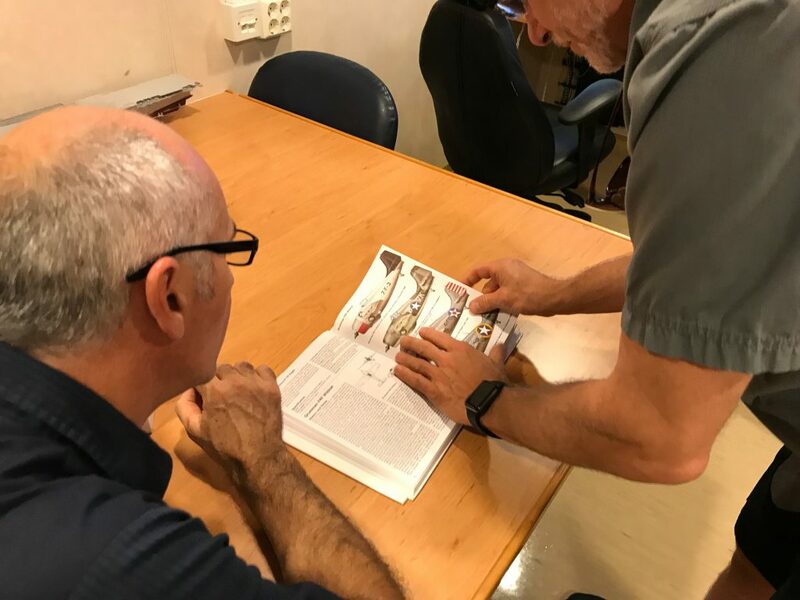 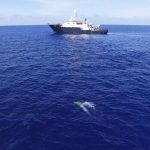 The 10-person expedition team on the 250-foot R/V Petrel was able to locate Hornet’s position by piecing together data from national and naval archives that included official deck logs and action reports from other ships engaged in the battle. 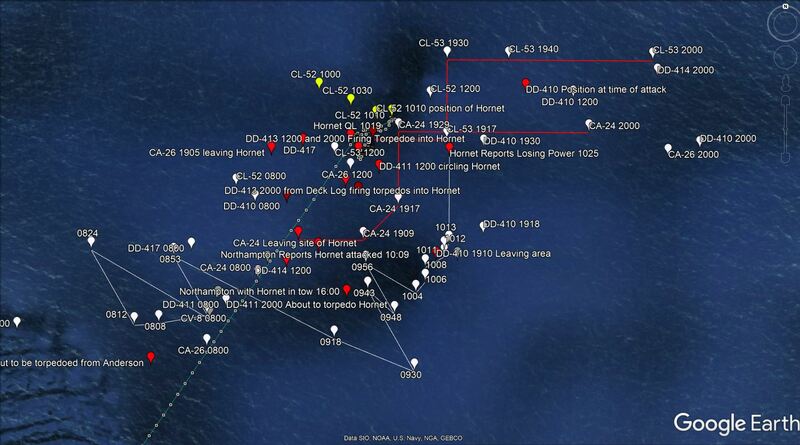 Positions and sightings from nine other U.S. warships in the area were plotted on a chart to generate the starting point for the search grid. 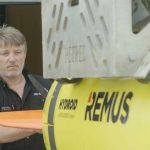 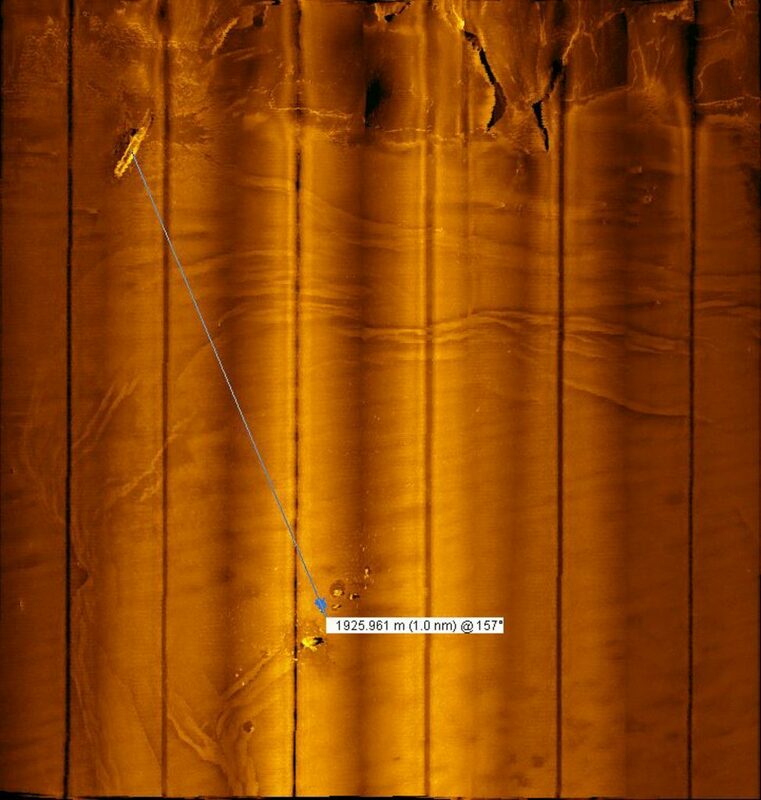 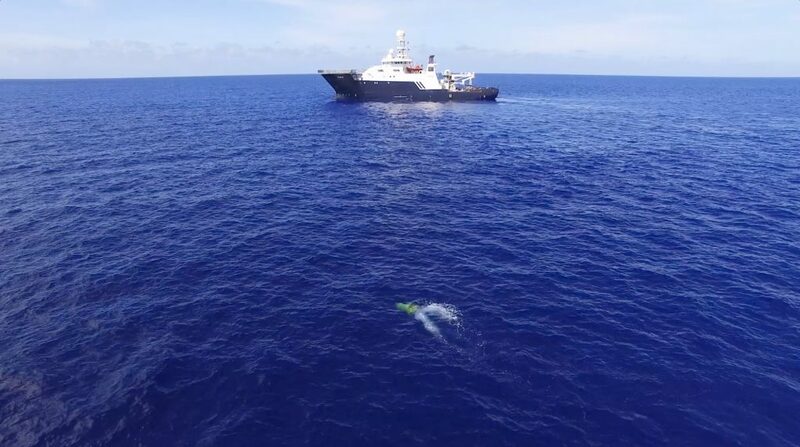 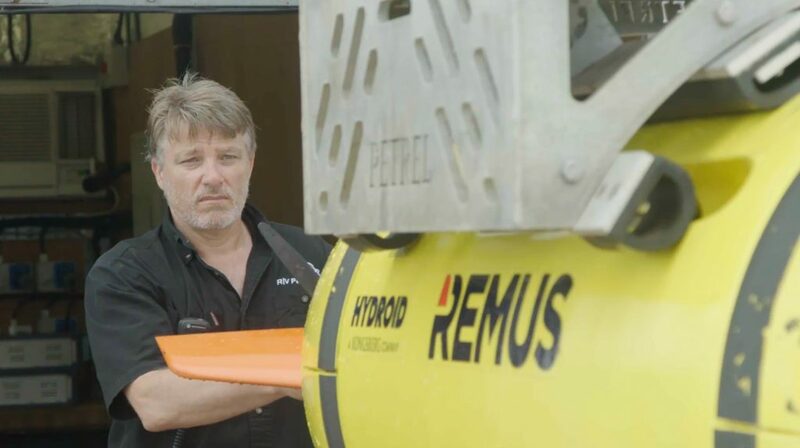 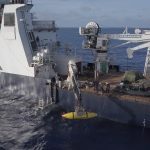 In the case of Hornet, she was discovered on the first dive mission of Petrel’s autonomous underwater vehicle and confirmed by video footage from the remotely operated vehicle, both pieces of equipment rated to dive down to 6,000 meters. 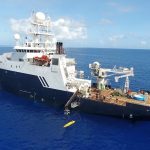 You can watch the hunt for the Hornet in this two part special on CBS… and dive deeper into R/V Petrel’s discoveries and projects here. 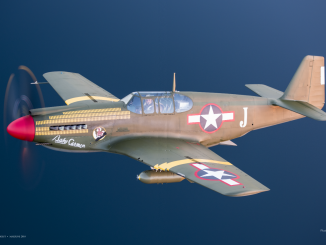 Many thanks indeed to the Flying Heritage & Combat Armor Museum’s Michelle Donoghue for her tremendous help in publishing this article, especially in gathering the images and authorizing their publication. 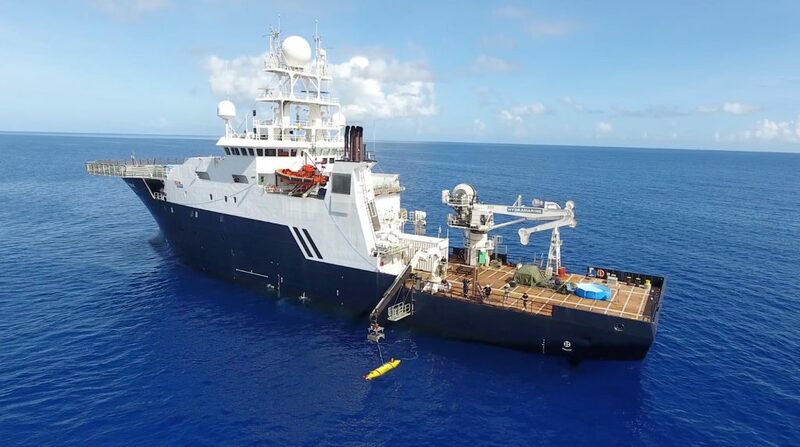 And bravo to the crew of the R/V Petrel for all they do, and to the late Paul G. Allen in having the foresight to fund and execute these important historical missions.